Apologies in advance: I am about to brag, crow, boast and generally be smug and immodest about a bit of my garden. In my defence, I don’t actually take any credit for this as it’s happened pretty much entirely without my input: as all the nicest things that happen in my garden seem to do. A few months ago I posted, with much shame, a picture of the duff bit of my garden – also known as the ‘middle bit’, the ‘difficult area’, or in moments of particular gloom, the ‘dump’. Just to remind you, this is what it looked like for most of last year. Actually, if I’m honest, for several years before that, too. Shortly after a weekend’s work in spring, it looked tidier, but frankly, still not what you might call inspiring. Ah – but just look at it now. It’s even better close up. This has been going on since about the beginning of June, and it just keeps getting better. First we had these little vetchy sort of things, spangling the whole area with tiny pea-like flowers in fetching shades of mauve, purple and pink. Then just as I thought those were coming to an end, out popped the cornflowers, followed by poppies, marigolds, and oh, tons of things I can’t even identify. I had heard some pretty good things about the annual seed mixes from Pictorial Meadows – but I had no idea it would be quite this good. The amazing thing is that it took me all of half an hour to sow, and since then there’s been pretty much no maintenance, not even much weeding (I’ve tugged out half-a-dozen fat hen plants but they’re the only weeds that got a look-in). I did have to water it every day for a week or two as we hit that patch of dry weather in spring just after I’d sown it – but since they came up properly I haven’t been watering at all, and they’re still looking this good after nearly six weeks of no rain. My problem area has now been promoted to Best Area of the Garden Bar None and I take all visitors to see it before I even give them a cup of tea. I’ve never had a bit of my garden I actually wanted to show off before. My only regret is that I shall have to leave it behind when we move and so will miss the loveliness of the seedheads in winter. But never mind: the beauty of annuals is that it all happens all over again next year, and I now know that no matter where we end up, there will be a corner of our garden I shall sow with an annual meadow like this. What a transformation. It is very beautiful, I wish i had space for one! This is fascinating as I have been wondering about putting one of those mixes across my bank at theback of the garden. I wonder what it will look like in the autumn/winter? The wildflowers are spectacular. I am going to the link you provide ASAP. One of my friends has been trying for three years to grow a wildflower bed. You made a believer out of me. 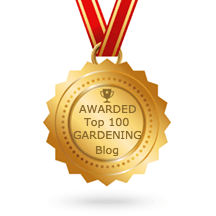 Thanks all – yes this has been a bit of a revelation to me too!Camilla – get guerrilla gardening right away! they do need half-decent soil – you couldn't just scatter them on uncultivated land – but given that, they really are trouble free.Su – you have got space 😀 if you grow plants, you can grow these – I'm thinking of sowing them in the gaps between my herbaceous perennials too, and they'd probably even grow in pots (care for an experiment? )PG – sadly I probably won't get to see mine in autumn/winter as I'll have gone by then. But on the promo material it does say the seedheads are lovely. I'll report back next year if you like :DVP – I expect a full account of that talk, sounds great! I've met Nigel a few times – a quiet revolutionary if ever there was one.ATD – any time 😀 this isn't a true wildflower bed as it hasn't got any grass in it – but that's its strength if you ask me, as that means it's a doddle to establish. Good luck to your friend!